After producing several amazing fan-submitted LEGO CUUSOO project such as Minecraft, Back To The Future’s Delorean Time Machine (which is part of our Best of 2013 list), and Curiosity Mars Rover, LEGO has chosen yet another excellent subject to be mass produced very soon. This time, it will the legendary Ghostbusters ECTO-1! Submitted by a 3D artist from Australia named Brent Waller, it is chosen due to its broad appeal among kids and adults alike throughout the world. The timing couldn’t be better as well, as this year marks the 30th anniversary of the iconic movie. 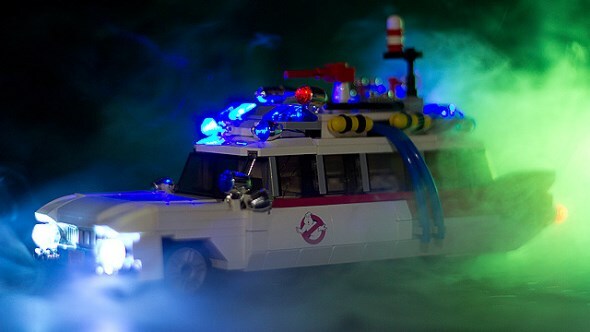 To make things even sweeter, the LEGO Ghostbusters ECTO-1 will come together with LEGO mini figurines. Since the LEGO Ghostbusters ECTO-1 set is still in the final design stage, the actual release date and pricing will only be announced at a later date.